What Can a Wine Tour Tell Me? A great wine tour offers you so much more than just a day out. It can also be a learning experience, a chance to appreciate wine on a deeper level and an opportunity to try something new. Plus, in addition to the wine, you’ll also discover more about the local area and spend quality time with your wine drinking companions. 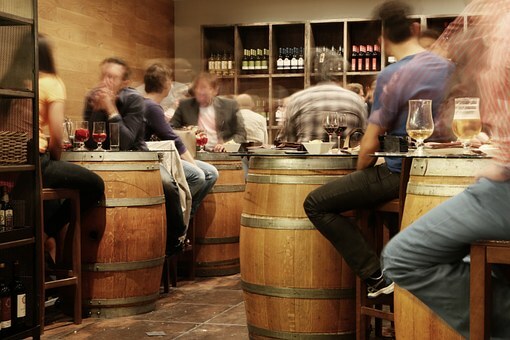 Here are a few of the ways that you can maximise your experience on your next wine tour. Okay, so perhaps right now you only place wine in two categories – red and white. That’s fine, but if you want to deepen your understanding of the many different varietals of wine, a wine tour is a great opportunity to do so. Every single wine in the world has its own unique taste, thanks to the grapes themselves, the soil and the climate the grapes were grown in, the harvesting process, the barrels in which it was aged and many other factors. When you train your senses to pay attention to the subtle differences between each wine, you’ll unlock an awareness of a huge, complex, universe of flavour. There is an art to tasting wine and all of that sniffing, slurping and sloshing isn’t as silly as it looks – it’s actually the way to aerate the wine and fully experience all of the tastes within it. So, don’t just glug it down – take some time to really think about what you smell and taste. Maybe you always thought you hated sweet, fruity white wines because you have had ones that you didn’t enjoy in the past. However, there might be a cab sav out there that you will fall in love with. Every wine is different, so it’s worth trying something in case you end up loving it. A wine tour is a great opportunity to try something new and branch out to sample a type of wine that you don’t usually drink – whether that’s a sparkling wine, a rose, a dessert wine or anything else. Then, pair it with some nibbles and really discover a whole new world of flavour. Not only is a wine tour wonderful from a wine-drinking perspective, it’s also interesting from a historical and geographical perspective. After all, the production of wine is so deeply linked to the history of a particular area. Not only will you be tasting wines, but you will often learn about the past of each vineyard. When was it built? How long have wines been produced in this area? How has wine-making changed over the years as technology evolves? From an anthropological perspective, it’s also fascinating to learn about how wine fits into the local culture. No matter where you go, learning about the winemaking traditions can teach you much more about your destination. The Yarra Valley, for example, has a fascinating history of winemaking of the very highest calibre. Of course, one of the true joys of a wine tour is that it is a fantastic way to spend quality time with people you care about. Whether you are enjoying the tour with your significant other, your friends or your family, it will be a day of eating, drinking, talking, laughing and wandering through beautiful vineyards together. The Latin phrase “in vino veritas” means “in wine, truth” and refers to the fact that when we have had a few glasses of wine we are more likely to speak from the heart and express our feelings. So, you and your friends will enjoy the pleasure of honest, heartfelt conversation as you sip in the sunshine. 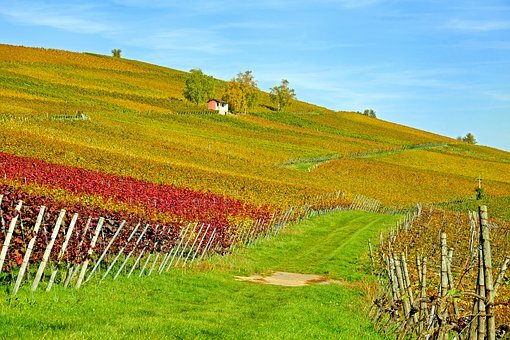 Of course, there’s much more to a wine tour than simply going haphazardly to the first wineries you come across. A good tour guide will gain an understanding of what your likes and dislikes are, show you a range of both wines and wineries, go where you have the attention of the cellar door staff, you feel comfortable asking questions, and are under no pressure to buy. This is where a private tour is perfect. With small groups, you are free to go to whichever wineries you like and when, rather than a group bus tour which is limited. Some wines and wineries deserve an extra bit of love, I reckon. As well being great fun and educational, a good wine tour can set you on the path to a deeper understand and appreciation of what you like and dislike, or even reacquaint yourself with old favourites. What’s not to love about that? What’s your favourite part of a wine tour? Let us know in the comments on our FB page. Join us for a unique and affordable private tour of Melbourne and beyond. Explore the spectacular sights of Victoria such as the Great Ocean Road, Yarra Valley and Phillip Island in luxurious comfort on one of our I Heart Melbourne private tours. Check out our range of tours and get in touch today to make a booking. We are the proud recipients of a TripAdvisor® Certificate of Excellence. Now in its sixth year, the achievement celebrates businesses that have earned consistently great traveller reviews on TripAdvisor. Follow us to stay up to date with the latest tour packages, special offers and news!